OAK Racing’s manufacturer department Onroak Automotive has sold its first Morgan LM P2 chassis in Asia to Chinese outfit KCMG. The car will be entered in the Asian Le Mans Series, a new championship comprising six events organised by the Automobile Club de l'Ouest. It’s a deal that has also prompted OAK Racing to set-up an Asian office in order to provide full technical assistance. Established by Hong Kong national Paul Ip in 2007, KCMG has contested a number of high profile championships throughout Asia including Japan’s Formula Nippon, Super GT300 and Formula 3 categories, as well as Formula Masters China and the Chinese Touring Car Championship (CTCC). Indeed, almost ten cars sport the team’s colours across the continent. 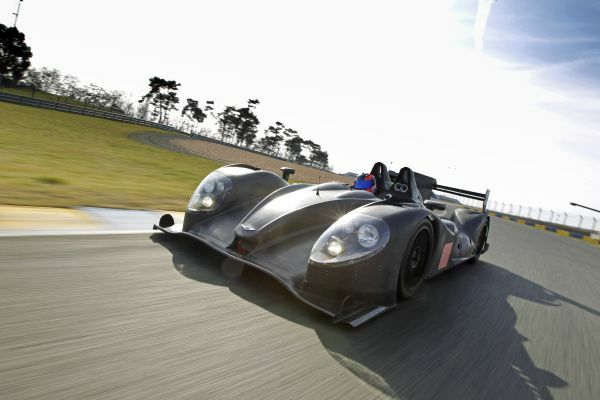 Now the fresh challenge of a sports-prototype endurance programme will be added to KCMG’s schedule in 2013, with the team also hoping to secure an invitation from the ACO for a place at the Le Mans 24 Hours. And in addition, Ip is keen to contest Asia’s WEC rounds at Fuji in Japan and Shanghai in China towards the end of the season. Paul Ip, KCMG owner: “The Asian Le Mans Series calendar has no events scheduled between October and November so would allow us to participate in two world championship rounds at circuits we already know. To be accepted by the Le Mans 24 Hours selection committee this February in the same year as the Asian Le Mans Series’ launch would be a full acknowledgement of both our team and the series itself. Jacques Nicolet, OAK Racing and Onroak Automotive owner: “We are very excited about this agreement and will fully support Paul Ip and his KCMG team as customers. We will establish a local outpost in Asia that allows us to provide them with genuine technical assistance throughout the season. They, as well as other customers racing a Morgan LM P2 in the Asian Le Mans Series, will benefit from the support of our engineers and the servicing of spare parts. Indeed, we fully intend to invest for the long-term future throughout the area as part of our entire group’s activities. Ip will soon visit OAK Racing’s Le Mans workshops before personally presenting his own application to the ACO. This season’s Asian Le Mans Series begins at Zhuhai in China on May 4/5. BMW Team Schnitzer claims win in ILMC debut season. Team Felbermayr-Proton - Tolles Finale eines fantastischen Rennjahres! BMW Team Schnitzer secures victory in the ILMC finale in Zhuhai.